Another iOS, another limitation. Starting from iOS 11 Apple has restricted what you can do with local notes on the iPhone, iPad and iPod touch. This impacts some features of CopyTrans Contacts. Therefore the “Add,” “Edit,” and “Import” buttons have been hidden from the CopyTrans Contacts interface for iOS 11 users. 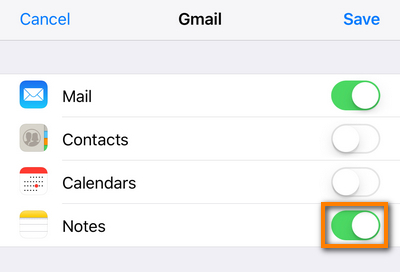 As for iOS 10 and earlier, you can continue managing your local notes and import your Outlook notes to your iOS device without limitation. There is a way around the limitation in iOS 11. You can transfer your Outlook notes to your device through a cloud service, such as Google or Yahoo. 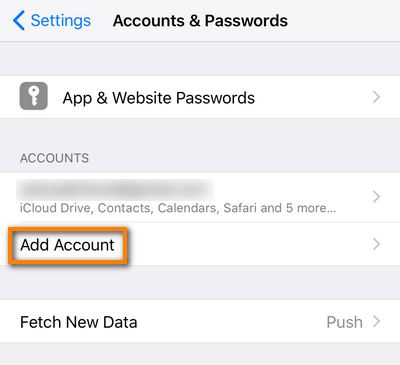 First, make sure that your cloud account is configured on your iPhone. Go to Settings > Accounts & Passwords > Add Account > select Google/Yahoo, and follow the instructions. NOTE: If you don’t have a gmail account, create one. Click on “New Cloud Account” and sign in to your Google or Yahoo account. If you need help doing this, please follow these instructions for Google and Yahoo. Then click More > Preferences > Advanced Preferences. In the search field, type “notes.general.allow_ios11” and double-click on the value “no” to replace it with “yes” and press Enter. 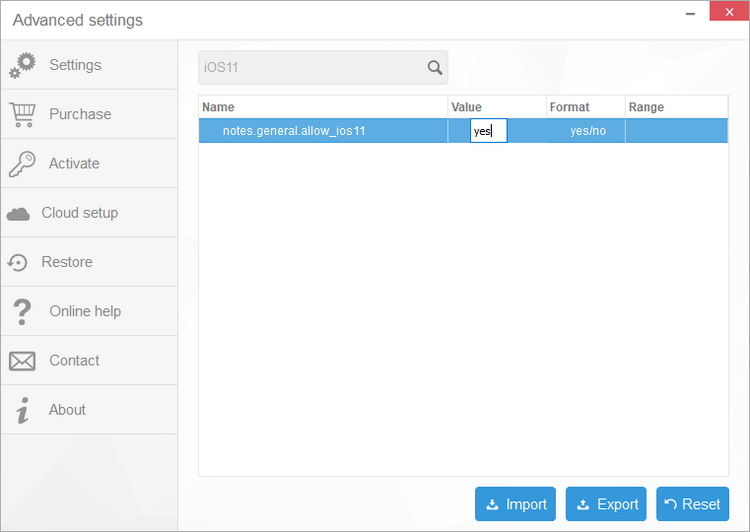 Restart CopyTrans Contacts. Important! Please wait until all data is loaded. 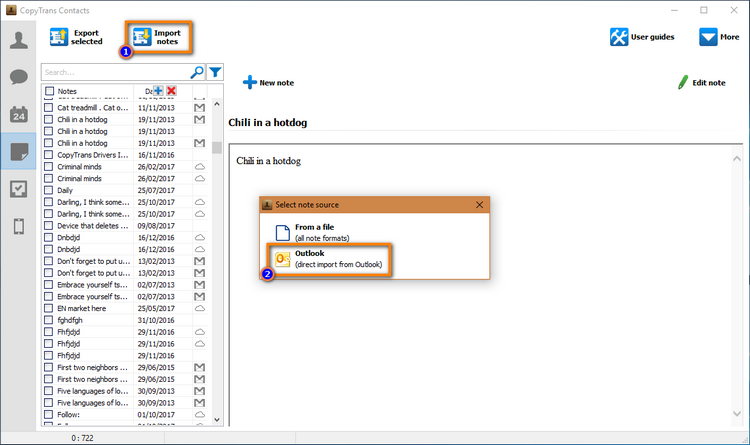 Go to the “Notes” tab and click Import > Outlook (direct import from Outlook). 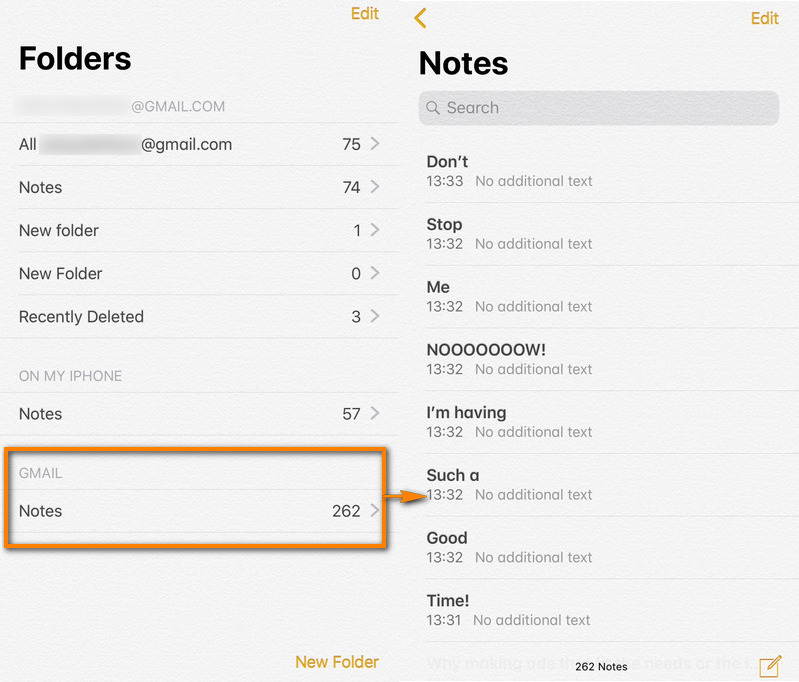 If the notes still do not appear in the Notes app on your iPhone, make sure you have Wi-Fi enabled on your iPhone and restart the Notes app.